From this rocky headland jutting out into the sea, an entirely mineral landscape of limestone cliffs, you might be lucky enough to spot dolphins and seals. 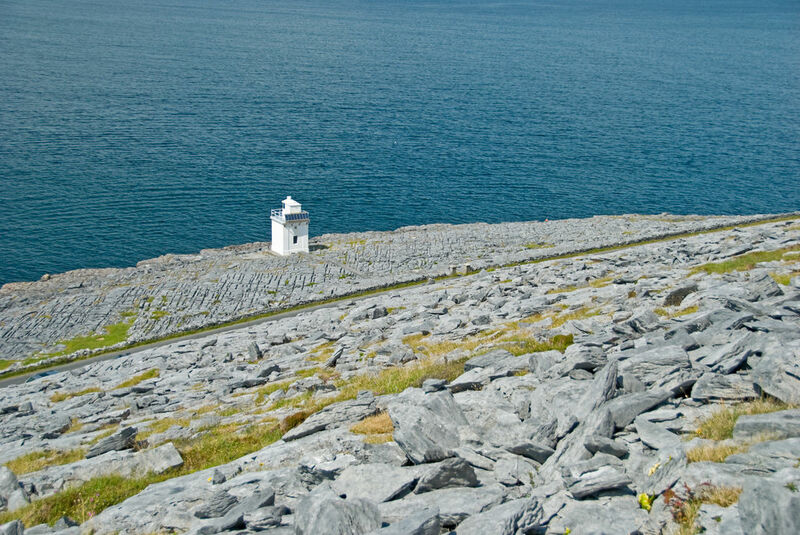 A small lighthouse overlooks the southern entrance to Galway Bay. Sportier visitors might like to climb the hillside to Cathair Dhún Iorais, an Iron Age fort a little inland, which affords exceptional panoramic views. Further into the bay, back at the water's edge, you will see Gleninagh Castle, a tall oblong tower dating from the 16C.